The Social Security Advisory Board held a policy forum on the Social Security Administration’s Representative Payee Program on March 27, 2017 at the 20 F Street NW Conference Center. This forum included panels on identifying who needs a representative payee, monitoring representative payee performance, and the way forward. Currently, more than 6 million payees manage $80 billion in Social Security and Supplemental Security Income benefits for more than 3.5 million adults and 4 million children determined to be incapable of managing their own benefits. Generally, the administration looks for family members or friends to serve as representative payees. If no family or friends are available, the administration seeks qualified organizations to serve as the representative payee. Projections indicate that the number of people needing assistance with their benefits will increase dramatically in the coming decades as the U.S. population ages. The discussions at the forum included the process of determining capacity, best practices, collaborative efforts and new approaches from the front lines, necessary oversight, program evaluation, and preparing for the future. You can read more about Social Security’s Representative Payee program here: https://www.ssa.gov/payee/. Fifty lawmakers have signed on to the letter, noting that “Social Security is efficiently administered, spending less than a penny of every dollar on administration; all while the American population is rapidly aging with 10,000 people, on average, turning 65 every day.” The letter also cites a recent Trustees Report showing that the SSA currently has a $2.8 trillion surplus that is only continuing to grow. Since 2010, the administrative budget of the SSA has declined by 10 percent, while the number of beneficiaries has increased by more than 12 percent. This led to 64 field offices closing, a disability hearings backlog with an average 540-day waiting period, increased wait times at every point of contact, and extended durations for retirement and disability appointments. In September 2016, the Social Security Administration (SSA) published new final rules, effective January 17, 2017, that revised the medical criteria for evaluating mental disorders. 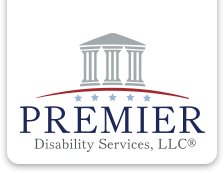 This regulation is a comprehensive revision to the criteria for evaluating disability claims involving mental disorders. The final rule is the last step in a deliberative process that engaged relevant stakeholders, including current disability beneficiaries and their family members, mental-health physicians and treatment providers, and advocacy groups for those with mental disorders. It also reflects information from the Diagnostic and Statistical Manual of Mental Disorders, Fifth edition, the mental health profession’s current standard classification of mental disorders. In addition to reflecting comments from members of the public, the rule also reflects an intellectual disability report SSA commissioned from the National Academy of Sciences, and the expertise of disability policy experts, adjudicators, psychiatric professionals, and vocational experts who provided input at every phase of the rulemaking process.